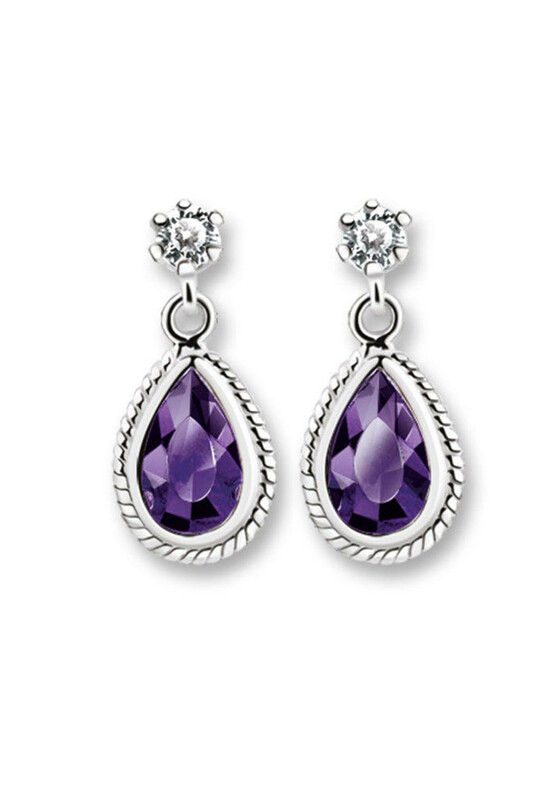 Glamorous and graceful, these striking drop earrings with a royal purple stone setting emit splendour and charm. 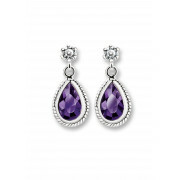 A classic and ageless piece sure to add a touch of allure and elegance to any stylish ensemble. Silver plated earrings with a protective anti tarnish layer, purple stone inset, with titanium posts, and butterfly backs, beautifully presented in a Newbridge Silverware gift box.